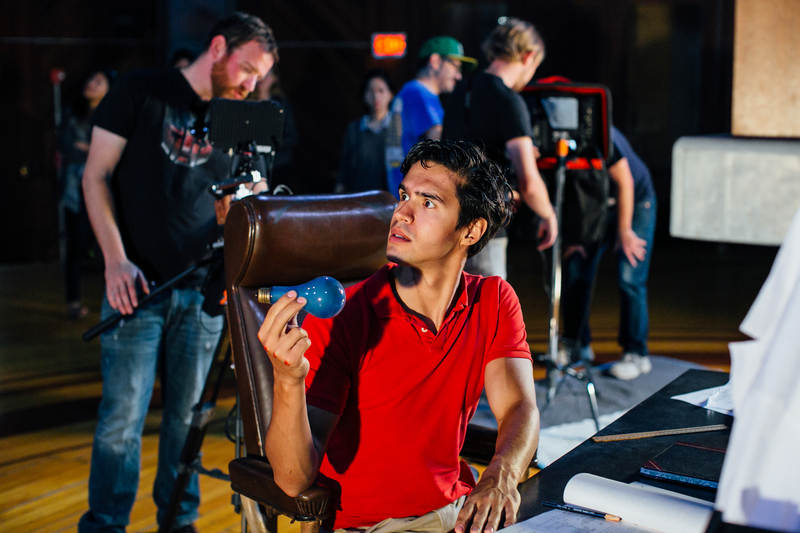 Filmmaking always presents challenges. 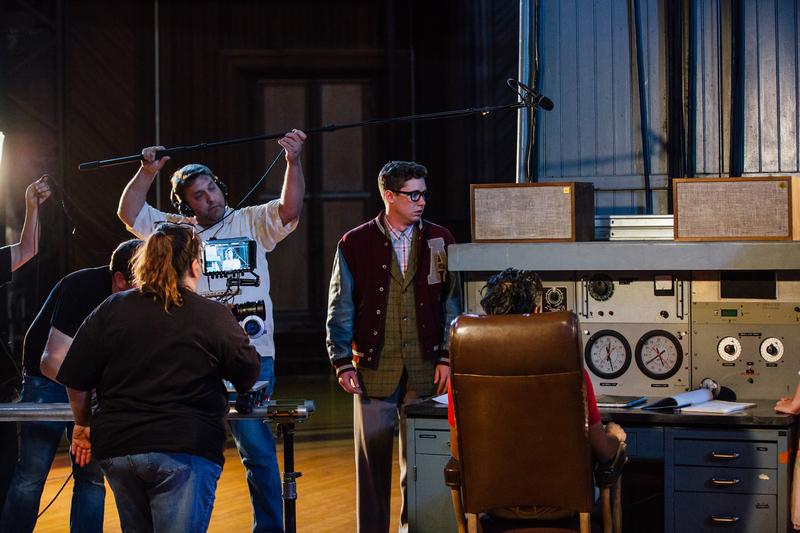 As we currently work our way through post-production, I thought I’d share with you the story of how we tackled one of our biggest challenges: the “bunker” scene. A few minor spoilers: The bunker scene comes after the characters are first attacked by the Wasp-Men. I wanted a scene where they could find shelter and discuss the alien threat. Something like the scene from Tremors where the three leads are on top of a rock, discussing their theories about where the graboids came from. (“I vote outer space. No way these are local boys.”) And 50’s monster movies often involved the military in some fashion. I thought setting a scene in an abandoned military bunker would work and I had the perfect location in mind: the old military batteries at the Marin Headlands. During preproduction, I took my director of photography, location sound person, and production designer to scout the batteries. 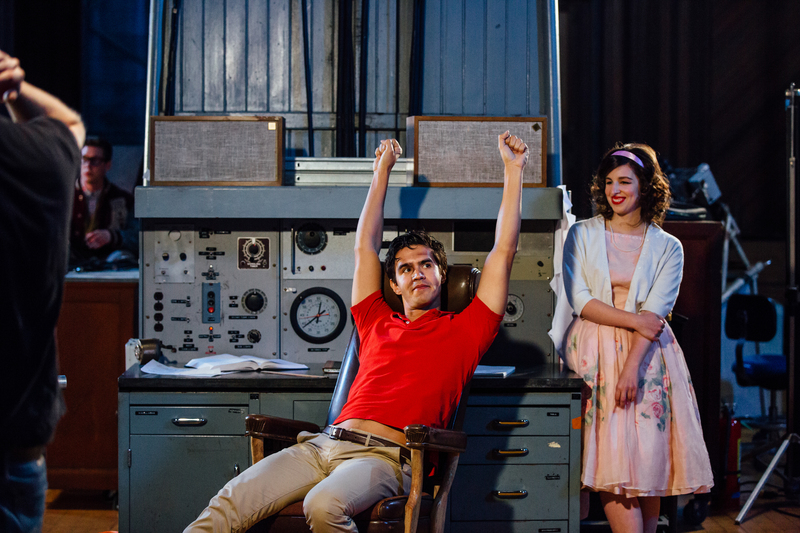 They weren’t perfect: there was the possibility of the bunker becoming a wind tunnel and its proximity to the Pacific meant that we’d get ocean sounds on the audio, but they were manageable and could be worked into the story. What I didn’t anticipate was how much it would cost to shoot there for a day. And it was a lot. A whole friggin’ lot. We had find another location. 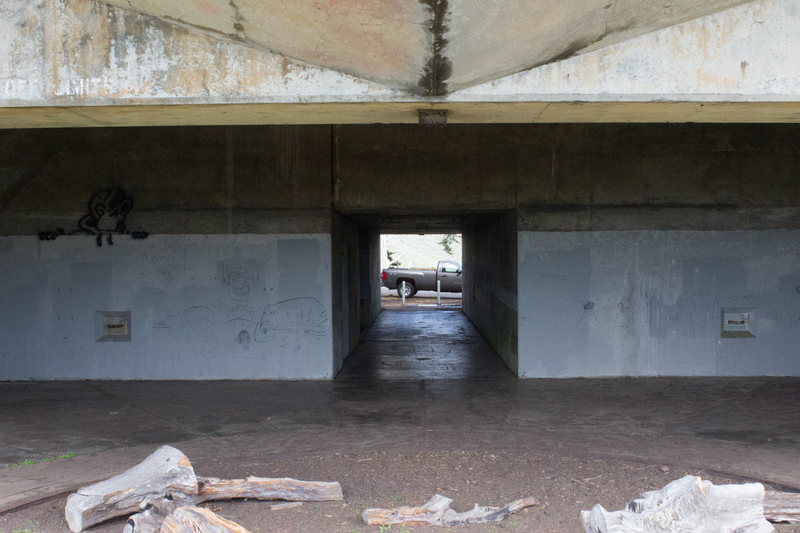 I researched comparable former military installations online, I asked all of the various film commissions here in the Bay Area for suggestions, I looked at urban exploration photography sites. 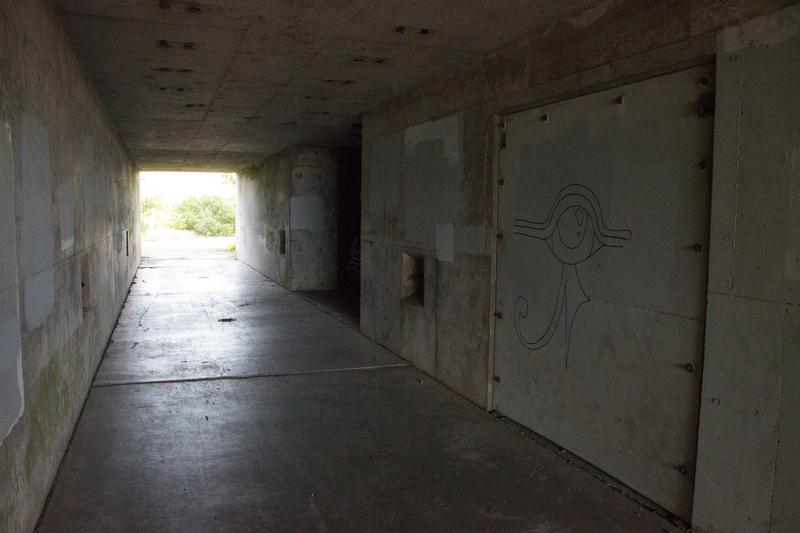 And I wasn’t just looking for concrete bunkers: I considered a decommissioned Naval hospital in Alameda, barns in Sonoma County, and a lot of other abandoned sites. It was a long search. We finally found a location that would have cost us a lot of money to rent, but not as much as the film permit for the Headlands. It would have put a massive hurt on our budget but at that point we didn’t have much of a choice if we wanted to move forward with the film. Too bad they dropped us without telling us why. It happened after I told them that we had to delay shooting a few weeks due to an actor having health issues. I guess they weren’t happy over the delay because I never heard back from them when I tried to reschedule. Fortunately, I hadn’t signed a contract with them or paid them anything but it meant that we were out of a key location once again. During the earlier searches, I had asked my crew if they had any suggestions. Quite a few of them did, but none of them panned out. I asked them again and this time Bryan Mendez, one of the members of the art department who also happens to be an astronomy professor at UC Berkeley, had a fantastic suggestion: Lick Observatory on Mount Hamilton. This place was perfect. 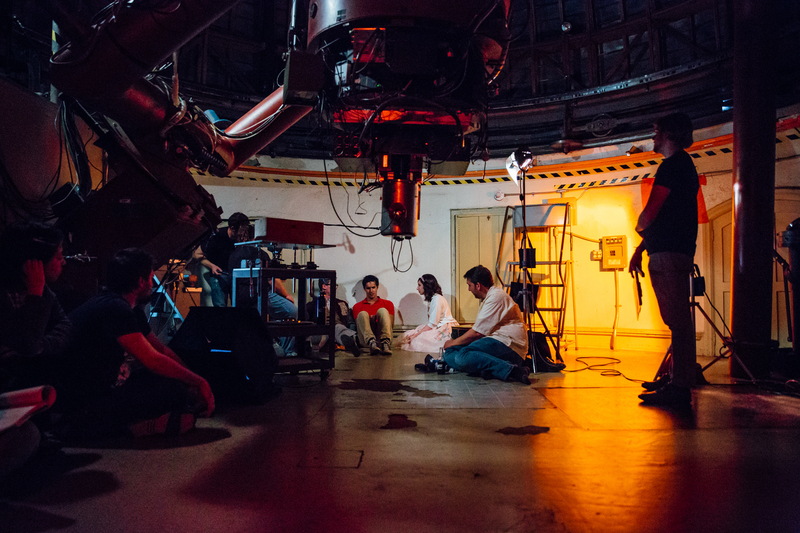 The film starts off with the teens going stargazing, why not have them end up at an observatory? 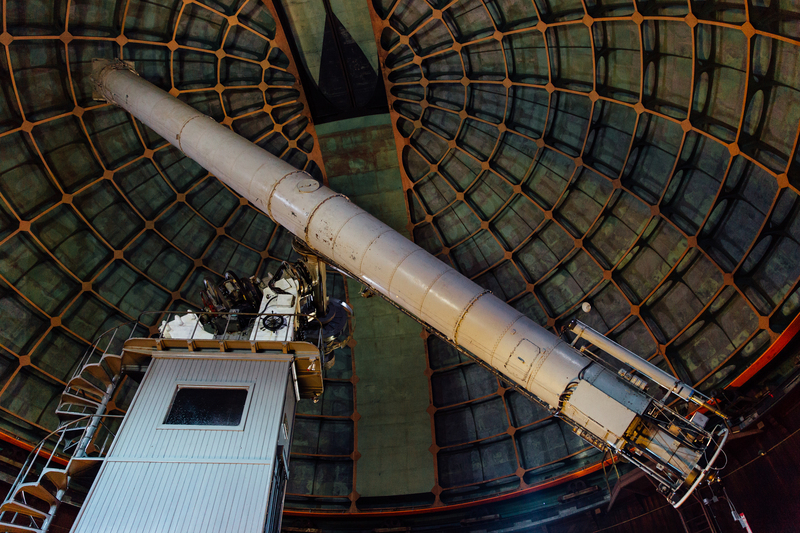 Lick Observatory is run by UC Santa Cruz. The astronomers and observatory employees I worked with couldn’t have been nicer, and they were excited by the plot of the film. And it was much, much cheaper than the other locations we had considered. The observatory has several telescope domes, and their representatives recommended two of them: the dome for the 36-inch Great Lick Refractor and the Nickel 40-inch telescope. We wanted the dome for the 36-inch since it was perfect for the period; the dome for the 40-inch was really small and fairly modern. 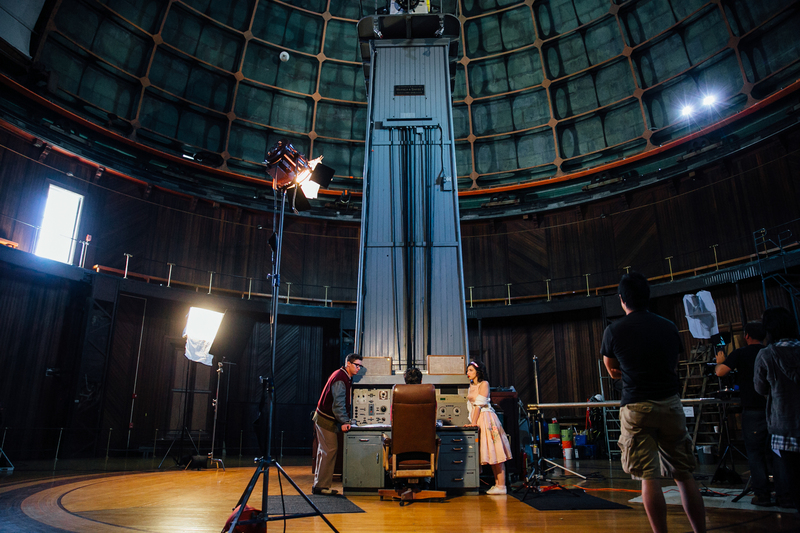 There was one big problem with the 36-inch: the dome is open to the public from 12 PM to 5 PM and we could only shoot during the day. 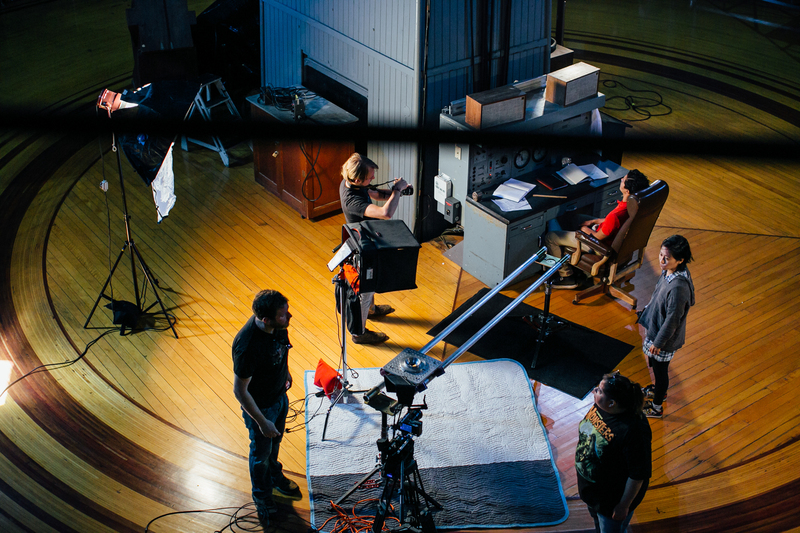 That lead to a decision to split the scene in two and film the second part in the smaller dome. 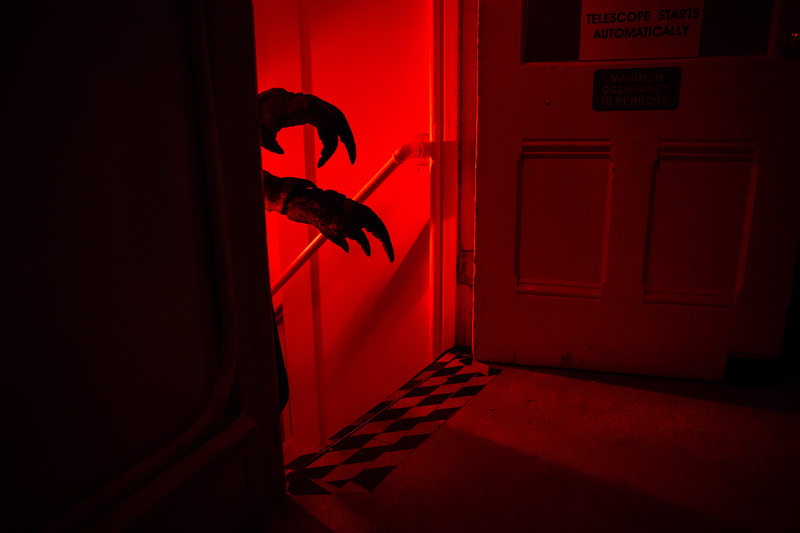 Since I was already revising the script to change the location from an abandoned bunker to a mysteriously empty observatory, it was no problem to have the characters start off in the large observatory and then hide in a smaller room when (SPOILERS!) another Wasp-Man comes along. Did it work? I think so. 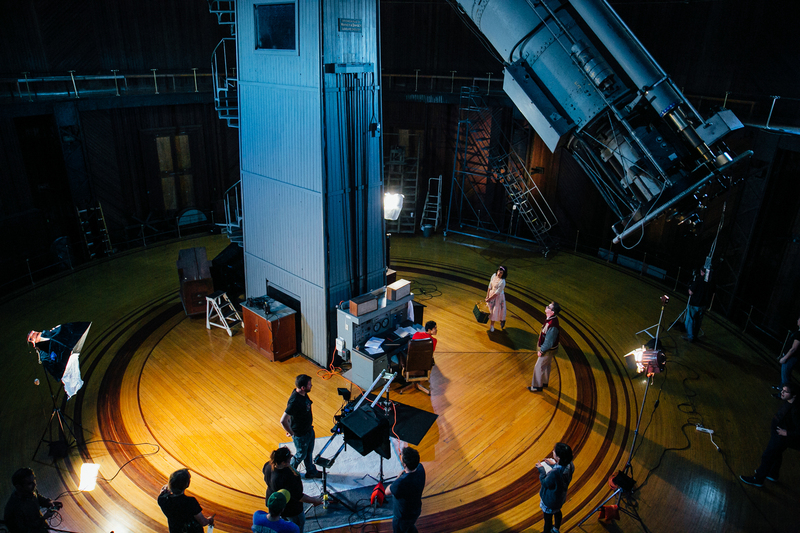 Lick Observatory was the last day of shooting for Wasp-Men From Mars! I’ve been working with my editor, my visual effects people, and other post crew to put together what I hope will be a really fun film. I want to thank the production crew and the actors for all the great work they did and I hope they’re happy with the final movie. I don’t know why he has this lightbulb. Something’s coming over the speakers. Photos by Katherine Bree Walker.